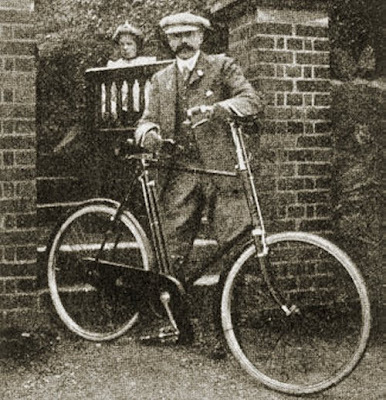 Edward Elgar was a keen cyclist, and this photo shows him in Malvern with his trusty bike. Cycling technology has progressed a lot since Elgar toured the Malvern Hills in the early 1900s. An interesting story in the Telegraph updates us, and also contains a familiar name. And, quite appropriately, An Overgrown Path will be taking a prolonged break shortly - while I go cycling in France. I trust that you are enjoying your time in France, though I a missing the regular postings.